Unwittingly, advances in information technology and information disclosure have prompted the public to become financially literate in Indonesia. Information on the products, services, distribution and profiles of financial service providers is also increasingly easy to obtain and more transparent to the public. Especially about the insurance industry, both life insurance and general insurance, this becomes a blessing in itself. The confidence in insurance and professional products involved in the industry has increased dramatically, and there has been a significant increase in sales in the last 10 years. It can be said that this is a positive impact of the increased awareness in the community about the need for insurance and the success of regulators and industries to increase insurance minded in the community. Unfortunately, with the characteristics of Indonesian society is very communal and tend to be conventional, there are some misperception and wrong decision making that already used as a foundation when buying insurance products. Not infrequently this becomes a commotion to the realm of law in the future. Of course not expected this continues in the future, is not it? For that it's good we recognize any errors in insurance in the community. 1. Buying unnecessary Quite a few insurance products, primarily life insurance, offered on a friendship or social basis. With psychological pressure or not, and consciously or unconsciously, it often leads to an unneeded or unnecessary purchase. I once encountered a case where an elderly person but bought Unit Linked products with an aggressively stock-dominated fund simply because the offer was his relative. Or a bachelor who happily purchases endowment education fund insurance product because the offer is ex colleague in the old office. Sooner or later it will be realized, that it has done "wrong buy" and expectations are not achieved. Then it ends with dissatisfaction and fuss .... The key: just buy the needed and do not tolerate a bit because insurance is a long-term contract. If the product does not meet our needs, then set a heart to reject it. If you want to help friends or relatives, use other media that will not bind each other for long. 2. Not buying required This is similar to the above points, and often comes together or complementary. 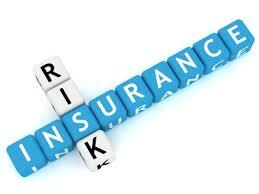 A seller of insurance products has a code of ethics and is trained to be able to conduct consultative sales. This means that sales are only done if it suits the needs of the prospect. Unfortunately the various products offered provide different commission rates of sales. And for unethical sellers, it is quite common where only offering and exposing products that provide a large sales incentive is not necessarily required by the prospect. As a result there are two mistakes at once: which do not need to be purchased, while the necessary even not bought because it is not offered .... The key: discipline with the seller of insurance products. You must have a financial plan if you will meet with an insurance sales agent or better to reject an appointment to meet. If you meet, you must discipline yourself first. Only allow the agent to offer the product you mentioned earlier as your requirement. 3. Does not match the value of protection needs Often mistakes actually start from yourself as a buyer. You pay, and you have to decide what you need. Every individual is unique and it is not appropriate that you stack your financial plan on an illustration or an insurance agent sales presentation. You have to know what type of product you need, for how long, and for what protection needs. The job of an insurance agent is to capture the information, then locate the appropriate product and the appropriate protection scheme. You are in complete control, not them. 4. Not adjust the financial capability A number of insurance products are packed in such a way both actuarially and in marketing with very interesting. And this is fine. But you have to remember that everything is not free. Forget the fun that comes from offering "No Claim Bonus", or "Loyalty Bonus", or "Active Payor Bonus". It all comes from your own money. The money you pay regularly as a premium, and certainly only a fraction of the profit that appears on the insurance contract that will be returned to the buyer. Apesnya, because it is dark eyes, many prospects who play a hit and decide to buy. On the other hand, he does not take into account whether he will be able to pay as scheduled premiums set. Indeed, to avoid the policy into lapse (cancel) the insurer often provide premium loan facility (certainly with high interest), and this often abort clause to get a "bonus". Forget about this bonus. You better focus on how much your financial ability and adjust to the needs of protection you have. 5. Not proactive and self-engaging Indonesian people in all walks have a tendency to be bossy and happy to be served, even for even small-time customers. And service providers and sellers, are often happy to provide extra super services. Make no mistake, this could be bad for you !! The more you are not proactive in taking care of your own insurance, the more you are in the realm of your insurance management. There are two disadvantages. First, you are increasingly dependent on your insurance agent, while they are not always there. Besides they often provide extra services that do not exist in the company's SOP, consequently when you are served by others, you will be inflamed because it feels "the service is down !!!" The second disadvantage, you do not know well how the reality of your insurance product is managed, even it could be anything your rights and obligations you do not know well. Almost always encountered policyholders only know about the "contents of the insurance application form", "receive the book policy", "pay premium", and "there insurance benefit". Though often insurance products, especially life insurance, is packed with very creative and profitable for its critical customers. 6. Do not read carefully the insurance policy and contracts Because buying from trusted people (friends or relatives), then feel that the value of the policy is small, or feel limited to "help", consequently the policyholder often does not read carefully the contents of the contract insurance, including suitability with anything ever presented in the illustration and oral explanation of the agent. Predictably, later tensions will arise when discontent is felt because of the difference between what is understood and what is contained in the contract. 7. Not paying attention to free look period facility This is a grace period facility where if at this time you feel wrong buying, not satisfied with the policy received, or not satisfied with the service or product purchased, then you can cancel this purchase and get a premium return already paid. Related to the point no 6 above, often because it does not care about the correct purchasing process, the policyholder does not know or ignore this grace period. As a result when it appears disappointment and intend to cancel the policy already purchased, feel aggrieved because it did not get a premium return. 1. Create a thorough and comprehensive financial plan . So you know exactly what is needed, how much and for when. 2. Self-discipline to run the process of purchasing and decision making is good and right. Do not be affected by agents, or promotional strategies. Focus on your own needs and your ability to pay premiums consistently. Do not fall asleep with various offers of bonuses, discounts or gifts, because all of it will use your own money you know. 3. Read the insurance contract carefully , so you know exactly your rights and obligations as well as the various benefits and consequences of those things. Congratulations Insurance is good and right!